In the first section of the Doctrine and Covenants, the Lord makes this bold and significant statement: “[This is] the only true and living church upon the face of the whole earth” (D&C 1:30). What does this mean? It does not mean that other churches do not have some truth, for certainly they do. It does not mean that other churches do not render good, for they render much good. What it does mean is that this is the only church that has all the truth that has been revealed thus far in this dispensation—the only church that has the ordinances necessary for exaltation and the only church that has the priesthood of God to perform those ordinances with divine validity. While Callister gives initial “lip service” to other Christian churches—they “certainly” have “truth,” he says—Jesus apparently was not pleased with other churches outside the LDS Church, according to D&C 1:30. Exaltation and valid ordinances can come through no other institution than Mormonism, the Seventy explained. Some years ago my wife and I needed a bigger home for our growing family, so we found a lot on which to build. We spent some time working on a blueprint that would best accommodate the needs of our family. My wife designed a folding door between our family room and living room that could open up for large family and youth activities. With some extra space over the garage, we designed a room where our children could engage in wholesome activities. A small room was built behind the garage to allow for food and other storage. These and other design elements were incorporated into a blueprint. The home was then built pursuant to these plans. As the home was being constructed, we occasionally submitted to the builder a change order that revised the blueprint. When the home was finally completed, it was in exact conformity with our blueprint as revised from time to time. If you took our blueprint and matched it against every home in the world, how many homes would it perfectly match? Only one—our home. Oh, there might be an occasional resemblance here and there—a room the same size, some similar windows—but foundation for foundation, room for room, and roofline for roofline, there would only be one home that perfectly matched the blueprint—our home. With that as our start, let’s take a closer look at this talk. Callister provides reasons very similar to what we previously given in “17 points.” This article will take a look at the original 17 points (underlined and numbered in the order that list was original given–click here to see this list), with Callister’s similar point(s) in bold, and my comment in regular type. In a similar way Christ built a home to best accommodate the spiritual needs of His children. It was called His Church. The spiritual blueprint for this Church can be found in the New Testament. Occasionally the Savior made a “change order” to the blueprint. Such a change order came in the form of a revelation. For example, the Savior initially commanded His Apostles to preach the gospel to the house of Israel but not to the Gentiles (see Matthew 10:5–6). After the Savior’s Ascension, however, He gave Peter a spiritual change order—a revelation by way of a vision—that the gospel should now be taught also to the Gentiles (see Acts 10). This experience of Peter taught at least two important governance principles in Christ’s Church: one, the blueprint could be changed, but only by revelation from Christ, and second, such revelation would come to the prophet who was God’s spokesman on earth. In other words, God’s Church would be governed by divine revelation and by order. The Lord Jesus Christ, our Redeemer and Savior, has given us our map—a code of laws and commandments whereby we might attain perfection and, eventually godhood. This set of laws and ordinances is known as the gospel of Jesus Christ, and it is the only plan which will exalt mankind. The Church of Jesus Christ of Latter-day Saints is the sole repository of this priceless program in its fulness, which is made available to those who accept it. The Lord restored his kingdom in these days, with all its gifts and powers and blessings. Any church that you know of may possibly be able to take you for a long ride, and bring you some degree of peace and happiness and blessing, and they can carry you to the veil and there they drop you. The Church of Jesus Christ picks you up on this side of the veil and, if you live its commandments, carries you right through the veil as though it weren’t there and on through the eternities to exaltation” (Teachings of Presidents of the Church: Spencer W. Kimball, p. 5.). To summarize, the Mormon gospel is a “set of laws and commandments” as defined by the Mormon Church. “If you live its commandments,” then it is possible for the Mormon to get “through the eternities to exaltation.” Along with Callister, Kimball and other LDS leaders teach that exclusive truth can only be found in the Mormon Church. If one desired to discover Christ’s Church today, he would want to match the spiritual blueprint found in the New Testament against every Christian church in the world until he discovered a church that matched the blueprint—organization for organization, teaching for teaching, ordinance for ordinance, fruit for fruit, and revelation for revelation. In doing so, he might find some churches that had some similarities—a teaching or two that overlapped, an ordinance that is the same, some offices that bear common names—but he will only find one church, The Church of Jesus Christ of Latter-day Saints, that matches the blueprint in every material respect. Now I would like to put that assertion to the test. Let us turn to the first page of the blueprint and discover what was the “Organization” of Christ’s Church as revealed therein. First, Christ’s Church was founded on apostles and prophets. When Paul was writing to some new members of the Church, he said that they were now “built upon the foundation of the apostles and prophets, Jesus Christ himself being the chief corner stone” (Ephesians 2:20; italics added). Matthew 18:17: If he refuses to listen to them, tell it to the church. And if he refuses to listen even to the church, let him be to you as a Gentile and a tax collector. Acts 5:11: And great fear came upon the whole church and upon all who heard of these things. Acts 8:1: [ Saul Ravages the Church ] And Saul approved of his execution. And there arose on that day a great persecution against the church in Jerusalem, and they were all scattered throughout the regions of Judea and Samaria, except the apostles. Acts 8:3: But Saul was ravaging the church, and entering house after house, he dragged off men and women and committed them to prison. Acts 9:31: So the church throughout all Judea and Galilee and Samaria had peace and was being built up. And walking in the fear of the Lord and in the comfort of the Holy Spirit, it multiplied. Acts 11:22: The report of this came to the ears of the church in Jerusalem, and they sent Barnabas to Antioch. Acts 11:26: and when he had found him, he brought him to Antioch. For a whole year they met with the church and taught a great many people. And in Antioch the disciples were first called Christians. Acts 12:5: So Peter was kept in prison, but earnest prayer for him was made to God by the church. Acts 14:27: And when they arrived and gathered the church together, they declared all that God had done with them, and how he had opened a door of faith to the Gentiles. Acts 15:3: So, being sent on their way by the church, they passed through both Phoenicia and Samaria, describing in detail the conversion of the Gentiles, and brought great joy to all the brothers. Acts 15:4: When they came to Jerusalem, they were welcomed by the church and the apostles and the elders, and they declared all that God had done with them. Acts 15:41: And he went through Syria and Cilicia, strengthening the churches. Acts 16:5: So the churches were strengthened in the faith, and they increased in numbers daily. Acts 18:22: When he had landed at Caesarea, he went up and greeted the church, and then went down to Antioch. There are many other examples found in other New Testament books as well. So, when the word “church” is used in the Bible, perhaps words such as “assembly” or “congregation” ought to be substituted to help remind the reader that the church is not a entity but a collected set of entities (believers). Thus, perhaps we should refrain from saying “I’m going to church” and substitute it with “I’m going to meet with the congregation”! Notice how Paul was talking about himself as the “wise masterbuilder” who “laid” and “built” on the “foundation.” In Ephesians, he talks about how the building’s foundation is built (past tense) of “apostles and prophets,” with Christ being the chief cornerstone. The apostles and prophets referenced were made up of men from that New Testament time as described in Acts. Nowhere does this verse infer that there would be later prophets and apostles who would be part of the same foundation. For more on this topic, check out Is it wise to place blind trust in mere men? and True and False Prophets. Another article to consider is this one on church organization. The Apostles understood the imperative need to keep the Quorum of the Twelve Apostles intact. When one Apostle, such as Judas, died and a portion of the foundation was “chipped away,” the other 11 Apostles gathered together and chose a successor so that the foundation would be whole again (see Acts 1:22–25). If keeping the office of apostle intact was so important, then why did the apostles never assign another replacement after that first chapter in Acts? Should we consider that the church (the collective body of believers) were in sin for not replacing those apostles who died? If this is true, these men were culpable and anything they taught during this time of their personal apostasy ought to be treated with suspicion. For more, let me just refer you to another article I did on this very issue. Click here. This pattern evidenced the importance of maintaining a quorum of twelve Apostles. So important were these Apostles to the well-being of the Church that Paul declared how long we needed them: “Till we all come in the unity of the faith” (Ephesians 4:13). And then he explained why: So we would not be “carried about with every wind of doctrine” (Ephesians 4:14). Accordingly, the Apostles were critical to keeping the doctrine pure. Yes, I agree the biblical apostles kept “the doctrine pure” through their careful oversight. Had there been people espousing the current teachings of Mormonism running around in those days, these apostles would have certainly pointed out the heresy of their teachings! Suppose for a moment I were to tell a story to someone on one end of the row in front of me, and then he were to share it with the person next to him, and so on until it were to work its way down the rows to the end of the section. What would happen to that story? It would change. It always changes; that is human nature. So it was with the doctrine taught by the Apostles as they went out to the various towns and villages. As the doctrine went from one person to another, it started to change. As long as the Apostles were available, they could correct the doctrine by way of epistles or personal sermons. But when the Apostles were gone, there was no longer any check-and-balance system, no longer any correcting hand, and soon the doctrines became distorted or lost. The Telephone Game idea is often trotted out by skeptics to show how biblical doctrine has been changed over the years. In this party game, one player whispers a sentence to a second player, who communicates with a third, and so on. Once the message has gone through five, six, or even seven players, the last person writes the message down, which is then compared to the original. The game is entertaining when all the errors are discovered. This is proof, some insist, that the Bible and its message was convoluted in a similar way over the years. Thus, the players would not just be satisfied with the latest outcome and be satisfied. Rather, investigation is done to find out what the original manuscripts (autographs) said. The New Testament has more than 5,000 Greek copies and more than 24,000 other manuscripts. The Dead Sea Scrolls help show that the Old Testament is accurate as well, as the earliest copies in existence go back to the Masoretic text beginning around AD 900; access to a complete scroll of Isaiah dating to 125 BC, a millenium earlier than any texts we had before 1947, is available to be read on the Internet! (Find out more about the Dead Sea Scrolls here.) To discover what the autograph(s) said, we can compare the earliest and (what scholars deem) most accurate manuscripts. If the later manuscripts don’t match up or its source is not considered prime, guess which gets eliminated? One can disagree with the textual assumptions behind some of the modern translations of the New Testament and still not be overly concerned with differences that are immaterial. For a book to undergo progressive uncovering of its manuscript history and come out with so little debatable in its text is a great tribute to its essential authenticity. First, no new manuscript discovery has produced serious differences in the essential story. This survey has disclosed the leading textual controversies, and together they would be well within one percent of the text. Stated differently, all manuscripts agree on the essential correctness of 99 percent of all the verses in the New Testament. The second great fact that such a survey demonstrates is the progress that has placed the world in possession of manuscripts very near to the time of their writing. One would have to be a student of ancient history to appreciate how much superior the New Testament is to any other any book in its manuscript tradition (“Manu­script Discoveries of the New Testament in Perspective,” Papers of the Fourteenth Annual Symposium on the Archaeology of the Scriptures, Presented April 13, 1963, pp. 57-58). There is no evidence that “plain and precious truths” were ever eliminated from the Bible, though this is the claim that is made. 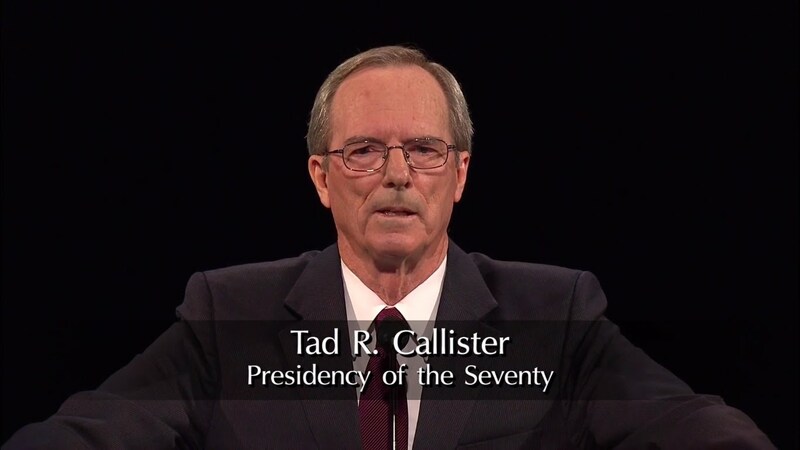 Even though the Bible is part of the LDS canon (Standard Works), Latter-day Saints such as Callister want to shed doubt on the message that has been passed down to humanity through the writings of the apostles. This strategy backfires on Mormons who attempt to use it. This is because if doctrines “went from one to another,” as Callister maintains, how would it be possible to trust pet LDS passages such as Ephesians 2:20 (used above), 1 Corinthians 15:29 (baptism for the dead), or James 1:5 (praying about which church is true)? You can’t have it both ways! The blueprint of the New Testament reveals other officers that constituted part of the organization of Christ’s Church: bishops (see 1 Timothy 3; Titus 1:7); elders (see Acts 14:23; Titus 1:5); deacons (see Philippians 1:1); evangelists (see Ephesians 4:11), meaning patriarchs; and pastors (see Ephesians 4:11), meaning such men as bishops and stake presidents who preside over a flock. The sixth article of faith of the Church makes reference to this blueprint: “We believe in the same organization that existed in the Primitive Church, namely, apostles, prophets, pastors, teachers, evangelists, and so forth” (Articles of Faith 1:6; italics added). In other words, we believe the current Church of Jesus Christ should have the same organization as existed in Christ’s original Church, subject only to revelatory changes. Therefore, each of these offices is present in our Church today. Those past high school age generally do not participate in the functions listed above. Yet 1 Timothy 3:11-12 instructs the wives of deacons to be “grave, not slanderers, sober, faithful in all things. Let the deacons be the husbands of one wife, ruling their children and their own houses well.” Why would such instructions be made if those known as deacons are typically in high school or below? It must be because the biblical teaching was referring to men who were much older than what the offices entail in Mormonism. So how should this be considered proof that Mormonism’s elders and deacons were the same as referenced in biblical times? Callister does the same thing when he refers to “pastors (see Ephesians 4:11), meaning such men as bishops and stake presidents who preside over a flock.” Again, if the name given by the apostles of old was “pastors,” why does the LDS Church say this refers to bishops (a completely different office he already mentioned) and stake presidents? This would seem odd since the word “bishop” is used elsewhere, but now the office of “pastor” is somehow attached to this role as well. Why didn’t Paul just use “bishops” and “stake presidents” if the LDS offices are the same as the biblical offices of old? Indeed, the claim is without warrant, as the biblical offices described in the New Testament are not matched with the LDS administrative offices. How were Christ’s Apostles and other officers chosen? Did the Savior go to the finest theological schools of the time and select the highest-ranking students? He did not. Instead, the blueprint tells us that He chose Peter, a fisherman, and Matthew, a tax collector, and later Paul, a tentmaker. Each was chosen from the rank and file—in essence, it was a lay ministry. Today the Church has a quorum of twelve Apostles who are likewise chosen from the rank and file of the Church. One may be a teacher, another an engineer, another an attorney, and so on. I am verily a man which am a Jew, born in Tarsus, a city in Cilicia, yet brought up in this city at the feet of Gamaliel, and taught according to the perfect manner of the law of the fathers, and was zealous toward God . . .
Did Christ’s Apostles and other officers make application for the ministry? They did not. The blueprint tells us how Christ selected His officers: “Ye have not chosen me, but I have chosen you, and ordained you” (John 15:16; italics added). When Christ ordained His Apostles, what did He give them? Matthew and Luke record the answer: “He gave them power” (Matthew 10:1; see also Luke 9:1)—the priesthood power to act in His name and to do His work. That is why the blueprint tells us “the Son of man … gave authority to his servants” (Mark 13:34). Why? So they could act in His name with His endorsement. Every man who holds the priesthood of God in this Church today can trace his priesthood authority back to Jesus Christ, the source of all authority and power, so that he, likewise, is entitled to Christ’s endorsement—His stamp of approval—as is required by the blueprint. According to Mormonism, the male priesthood plays an important role in providing authority. The assumption that Mormonism indeed has restored the priesthood authority supposedly lost after the death of the apostles has to be presupposed. This is not a given. In fact, the verses used by Callister from the Gospels never once infers that the authority Jesus game to the apostles included the “priesthood.” Callister and the Mormon position needs to assume this! Christ’s church must be led by men called by God. Therefore, only the leaders of the Mormon Church have direct authority and power of God to lead God’s people. While I agree with the second premise, the third and fourth premises require the LDS priesthood—as taught in Mormonism—to be true. I reject the LDS priesthood and don’t believe John the Baptist or Peter, James, and John ever came out of heaven in 1829 to give authority to Joseph Smith and Oliver Cowdery. If that’s the case, then the whole Mormon assumption falls apart, meaning that this church has no authority whatsoever. No mention is made of priesthood authority here or the other verses used by Callister. Besides, when is the last time we heard of LDS apostles going around and healing people in such a way, casting out demons and healing “all kinds of sickness and all kinds of disease.” If the LDS General Authorities are really doing such healings, source material would be appreciated. Some might suggest that these events are kept quiet amongst the Saints and not made public. That certainly wasn’t the case in biblical times, as the Bible reports on these events. The Book of Acts is chock full of miraculous events. Why the inconsistency? Lastly, this book is not a product of the Council of the First Presidency and Quorum of the Twelve Apostles and is not a doctrinal declaration by or for The Church of Jesus Christ of Latter-day Saints. I alone am responsible for the publication of this work, and I alone am accountable for any errors and limitations it may contain. I can only hope those are relatively few and forgivable. This work is not an official publication of The Church of Jesus Christ of Latter-day Saints. The views expressed herein are the responsibility of the author and do not necessarily represent the position of the Church or of Deseret Book. While Paul certainly did give his personal opinion–such as in 1 Corinthians 7:6 when he talked about marriage–those rare times he admitted such. However, I don’t recall a time when he suggested the possibility that what he wrote didn’t represent the position of the church. He even criticized Peter, one of Jesus’s inner circle, for teaching wrongly. This disclaimer seems to be a cop out. If Monson truly is a prophet of God, then why can’t he own this position and speak with more authority? For those occasions when something is merely his opinion, then state this within the context of whatever the teaching is. What was the name of the church organized by Christ? If we are baptized in the name of Christ, if we pray in the name of Christ, if we are saved in the name of Christ, and if He is the founder and chief cornerstone of His Church, what would you expect the name of His Church to be? The Church of Jesus Christ. The Savior, when speaking to the people in Book of Mormon times, taught the underlying rationale as to why the Church needed to bear His name: “And how be it my church save it be called in my name? For if a church be called in Moses’ name then it be Moses’ church; or if it be called in the name of a man then it be the church of a man; but if it be called in my name then it is my church, if it so be that they are built upon my gospel” (3 Nephi 27:8; italics added). “Now this I say, that every one of you saith, I am of Paul; and I of Apollos; and I of Cephas; and I of Christ. “Is Christ divided? was Paul crucified for you? or were ye baptized in the name of Paul?” (1 Corinthians 1:12–13). In other words, we do not take upon us any other name than Jesus Christ. Accordingly, the blueprint teaches us that Christ’s Church should bear His name. It has always seemed miraculous to me that the Reformation had been in existence for over 300 years before the time of Joseph Smith and no one thought to name his church after Jesus Christ. Of course, since the time of Joseph Smith, others have followed suit, but in some marvelous way the Lord preserved the use of His name until the time of Joseph Smith and the Restoration of Christ’s Church. To me, this is a very silly argument. Is having a church’s name with Jesus in its title somehow authoritative. If we are to use the rule found in 3 Nephi 27, are we then to assume that the church the apostle Paul addresses in 1 Thessalonians 1:1 was in a state of apostasy? After all, Paul refers to it as “the church of the Thessalonians”! Consider also that Paul refers to the body of believers in Corinth as “the church of God which is at Corinth” (See 1 Corinthians 1:2). In Galatians 1:2, it reads “to the churches in Galatia.” There are other examples in New Testament epistles as well. According to former LDS Apostle LeGrand Richards, a millennium and a half of the “complete apostasy” of Christianity necessitated a name change. Richards said that “the designation ‘Latter-day Saints’ was given to differentiate between the members of the church of Jesus Christ in this dispensation and those of the church established by Jesus in the meridian of time” (A Marvelous Work and a Wonder, p. 130). Richard Lloyd Anderson, a professor of religion and history at Brigham Young University, attempted to explain the 1834 change by saying, “This alteration was not seen as a deemphasis of Christ; on the contrary, it was done in hopes that the name of the Church would more clearly reflect the fact that Christ was at its head” (A Sure Foundation, p. 195). How can dropping the name of Christ “reflect the fact that Christ was at its head”? This argument doesn’t even make sense. Is God solely a spirit, or does He also have a body of flesh and bones? What does the blueprint teach? We once asked our friend, Dr. Mark Strauss of Bethel Seminary San Diego, if it’s possible that John 4:24 (“God is spirit and must be worshiped in spirit and in truth”) could be translated “God has a spirit.” This is impossible, he said. After Christ’s Resurrection, He appeared to His disciples, who mistakenly thought He was a spirit (see Luke 24:37). To correct their misimpression, He said, “Behold my hands and my feet, that it is I myself: handle me, and see; for a spirit hath not flesh and bones, as ye see me have” (Luke 24:39; italics added). To eliminate any doubt about the corporeal nature of His resurrected body, He inquired of His disciples, “Have ye here any meat?” (Luke 24:41). Then the scriptures record: “And they gave him a piece of a broiled fish, and of an honeycomb. And he took it, and did eat before them” (Luke 24:42–43). With that glorified, resurrected body of flesh and bones, Christ ascended into heaven (see Acts 1:9), where He sits on the right hand of God the Father and is, as the scriptures declare, in “the express image of his person” (Hebrews 1:3). This is the exact truth taught by Joseph Smith as part of the Restoration of Christ’s Church: “The Father has a body of flesh and bones as tangible as man’s; the Son also” (D&C 130:22). Callister swings and misses this point in a very big way. Notice his question: “Is God solely a spirit, or does He also have a body of flesh and bones?” Then he brings up evidence that proves how Jesus had a body. Christians don’t disagree. Rather, we disagree with D&C 130:22 says: “The Father has a body of flesh and bones as tangible as man’s…” This is the only verse he cites–and it should be noted that this is not in the Bible–to support the idea that God the Father has a body. Yes, Jesus is God, but He is not the Father. Therefore, just because Jesus had a body does not mean that the Father did as well. Callister has a severe misunderstanding of the Christian doctrine of the Trinity. To learn more about this essential Christian belief, go here. You can read more on the Godhead as well by clicking here. Are God and Jesus the same Being, as taught by much of the Christian world, or two separate Beings? What does the blueprint say? The number of references in the Bible to the separate identity and separate roles of the Father and Son is staggering. In the Garden of Gethsemane, recognizing the excruciating pain that was yet to be His, the Savior declared, “Not my will, but thine, be done” (Luke 22:42). This is the grandest act of submission the world has ever known. But what submission would there have been if there was no other Being to whom He could submit—if He and the Father were one and the same Being? Why does the Savior pray to the Father or cry out, “My God, my God, why hast thou forsaken me?” (Mark 15:34). How could He be forsaken if there was no separate Being to forsake Him? How did Stephen see Jesus standing on the right hand of God if They are not two persons (see Acts 7:55–56)? When Joseph Smith emerged from the grove of trees, he had learned for himself the truth. He had seen God the Father and His Son, Jesus Christ, standing side by side; he had heard the Father refer to the other as His “Beloved Son” (Joseph Smith—History 1:17). On that glorious day the heavens shattered the man-made myths of the past about the nature of God and revealed and confirmed the simple truth as originally taught in the blueprint: that God the Father and His Son, Jesus Christ, have a oneness of goals and will but a separateness of identity. The ignorance of the Christian teaching of God and the Trinity is appalling for someone of Callister’s position. Christianity does not teach that God the Father and Jesus are the same “individual” but different Persons. This is Modalism, which is a heresy and is rejected by Christians. Please, Latter-day Saint, please get an accurate understanding about what Christianity teaches on the Trinity. There are a dozen article located here that will help provide an accurate view on the very important teaching of the Trinity. What does the blueprint say about those who never had a fair chance to hear the gospel of Jesus Christ while on the earth? Are they damned? Are we without revealed knowledge as to their spiritual condition? This is a monumental question affecting billions of lives. Certainly God has spoken on this point. And in truth, He has. The blueprint contains the answer. Peter wrote, “For this cause was the gospel preached also to them that are dead, that they might be judged according to men in the flesh, but live according to God in the spirit” (1 Peter 4:6). This doctrine was lost in the Apostasy following the death of Christ’s Apostles, but it was restored through the Prophet Joseph Smith. Was baptism for the dead an ordinance in Christ’s original Church? It was. The members of the Church in Corinth were participating in an ordinance known as baptism for the dead. These people, however, doubted the reality of the Resurrection. Sensing the inconsistency of what they were doing as compared to what they believed, Paul used their participation in the correct ordinance of baptism for the dead to prove the correct doctrine of the Resurrection: “Else what shall they do which are baptized for the dead, if the dead rise not at all? why are they then baptized for the dead?” (1 Corinthians 15:29). It is an argument from silence to say that the teaching of baptism for the dead “was lost in the Apostasy.” And how could it be, for here Callister cites two different verse that supposedly teach on the topic! So how could it have been lost? For a look at the two passages that are used, I highly recommend reading “Is Baptism for the Dead a Biblical Doctrine?” This information is from a chapter out of Answering Mormons’ Questions. Are there three heavens or one heaven? For years the Christian world has taught there is one heaven and one hell, but what does the original blueprint teach? Paul taught, “There is one glory of the sun, and another glory of the moon, and another glory of the stars” (1 Corinthians 15:41). Paul subsequently confirmed the truth of this three-tiered heaven when he recounted the vision of a man “caught up to the third heaven” (2 Corinthians 12:2). Could there be a third heaven if there was no second or first heaven? Again, this doctrine restored through the Prophet Joseph Smith is in exact accord with the original blueprint. This is not one of the points given in “17 Points of the True Church–perhaps the author of 17 Points didn’t consider this worthy to put into his/her list! While Paul certainly referred to a “third heaven” in 2 Corinthians 12:2, there is no reason to believe he was referencing one of three distinct eternal destinations of mankind. To properly interpret Scripture, the context of a passage must be grasped, including what the listeners of Paul’s day would have understood it to mean. It is likely they would have interpreted Paul’s three heavens as the atmospheric heaven, the celestial heaven, and the believer’s heaven. The Bible supports this assertion. The probability is that Paul had in mind the conception of the heavens as threefold. Thus [Johann Albrecht] Bengel explains that the first heaven was that of the clouds, that is, of the earth’s atmosphere, the second that of the stars (cf. the appearance of “the lights in the firmament of heaven” on the fourth day of creation, Gen 1:14), and the third a heaven which is spiritual. (Hughes, The New International Commentary on the New Testament, p. 433). The Prophet Joseph Smith explained that “mansions” may be understood to mean “kingdoms”—those kingdoms in which we will dwell in the life after this. . . . The Lord has said that we will be blessed and will live in a degree of glory in the next life according to the eternal laws we obey in mortality. (“The Three Degrees of Glory,” Ensign, April 2005, p. 62). The imagery of a dwelling place (“rooms”) is taken from the oriental house in which the sons and daughters have apartments under the same roof as their parents. (“John,” The Expositor’s Bible Commentary, 9:143). “Dwelling places” (“rooms”) is a very different concept from what is offered by LDS leaders, who insist that humans who achieve godhood will rule their own worlds, just as they believe Elohim, or Heavenly Father, rules this one. In the words of Jesus and Paul, there is no implication at all that there are three degrees of heavenly glory. The interpretation of three levels of heaven as separate eternal destinations has been forced upon biblical passages that were never intended to support such an idea. Let’s consider this passage in its context. Jesus is talking about church discipline. It has nothing to do with marriage. Verses 19 and 20 are also taken out of context by many. Interpreting these verses to say that getting two people to agree can create a miracle or that Jesus is only with those who have at least one other person with them is bad hermeneutics. In the same way, to use Matthew 18:18 to show that marriage is for eternity is a stretch that those who were hearing Jesus’s words could have never imagined. Paul declared, “Neither is the man without the woman, neither the woman without the man, in the Lord” (1 Corinthians 11:11), meaning that the ideal is for the man and woman to be bound together forever in God’s presence. Paul was certainly not talking about eternal marriage. Rather, he was talking about how the male and female are both needed. Peter confirmed this truth. Referring to husbands and wives, he stated that they should be “heirs together of the grace of life” (1 Peter 3:7)—not individually, but jointly walking the path as inheritors of eternal life. Eternal marriage is not referenced here. It is talking about two people–a man and a wife–who are both believers. How do we know they are believers? The context shows us, including how their “prayer” would not be hindered. As believers, heaven is their home. They would be heirs together in this way. To read this passage as supporting marriage in heaven goes far beyond what the original author intended or what the original audience would have understood. That is the doctrine taught in the blueprint, and that is the doctrine taught in Christ’s Church today. The third page of the blueprint reads, “Ordinances in Christ’s Church.” The blueprint is very specific in this regard. For example, do we bless or baptize infants and little children? What does the blueprint teach? The Savior gave the clear example for us. Speaking of little children, the scriptures read, “And he [Jesus] took them up in his arms, put his hands upon them, and blessed them” (Mark 10:16; italics added). Matthew confirmed, as to little children, the Savior “laid his hands on them” (Matthew 19:15). This event appears to be a one-time occurrence, yet the Mormon Church has made an entire ordinance out of this. Did Jesus bless every child whom He came across? There are many things done by Jesus but nowhere is this taught as something Christians were to always do. I have no problem with blessing children, but this cannot be assumed to be a divine command for all time. If so, where did this occur in the New Testament church according to Luke and the book of Acts or Paul in his Pauline epistles. The blueprint teaches that infants and little children are blessed, not baptized. In fact, there is not one account of an infant baptism occurring anywhere in the entire New Testament. Why? Because it was not an ordinance in Christ’s Church. Someone looking for Christ’s Church today would look for a church that blesses infants, not baptizes them. This is a teaching where some Christian churches do disagree. The Lutheran or Presbyterian view will look at passages such as Acts 16:31-32 and say children can be baptized. Regardless, it is a peripheral issue and most Christians are willing to agree to disagree on this topic. Personally, I like the imagery of immersion and so this is what I practice, as I have had the chance to baptize several dozen folks during trips I’ve led to Israel. Is baptism essential for salvation? What does the blueprint teach? After Christ set the example by being baptized, He declared in unequivocal terms, “Except a man be born of water and of the Spirit, he cannot enter into the kingdom of God” (John 3:5; italics added). Peter taught similarly, “Repent, and be baptized every one of you in the name of Jesus Christ for the remission of sins, and ye shall receive the gift of the Holy Ghost” (Acts 2:38; italics added). What is taught in the blueprint is exactly what is taught in Christ’s Church today. Because the meaning of a word is tied to its context, it can readily be seen how the Greek word translated “for” (eis) in Acts 2:38 cannot mean “in order to obtain” but rather “in view of” or “because of.” The usage indicates “the ground or reason for the action. It answers the question, Why?” (Brooks and Winbery, Syntax of New Testament Greek, p. 60). Consider a similar usage found in Matthew 12:41: “The men of Nineveh shall rise in judgment with this generation, and shall condemn it: because they repented at [eis] the preaching of Jonas [Jonah].” Are we to assume that the people in Nineveh repented in order to obtain the preaching of Jonah? Or was their repentance in view of, or because of, Jonah’s preaching? The latter interpretation makes more sense. In trying to deal with the various elements in this passage, some interpreters have stressed the command to be baptized so as to link the forgiveness of sins exclusively with baptism. But it runs contrary to all biblical religion to assume that outward rites have any value apart from true repentance and an inward change. (“Acts,” in Gaebelein, The Expositor’s Bible Commentary, 9:283-284). Christian theologian G. R. Beasley-Murray explained, “At the close of his address on the same day, Peter calls for his hearers to repent and be baptized, with a view to receiving forgiveness and the Spirit.” (Baptism in the New Testament, p. 105). The act of baptism is not something that saves a person but is an action that comes out of belief. Beasley-Murray wrote, “Baptism is an overt, public act that expresses inward decision and intent; since it is performed in the open, and not in secret, it becomes by its nature a confession of a faith and allegiance embraced.”(Ibid, p. 101). First, the Savior, our great Exemplar, came up “straightway out of the water” (Matthew 3:16), indicating He must have first gone down into the water. Second, John the Baptist “was baptizing in Aenon near to Salim, because there was much water there” (John 3:23; italics added). Why would he travel to a place of “much water” if sprinkling or pouring were accepted modes of baptism? Third, Paul tells us that baptism is symbolic of the death, burial, and resurrection of Jesus Christ (see Romans 6:3–5). As the new convert stands in the waters of baptism, he represents the old man about to die. As he is immersed in the water, his sins are “buried” and forgiven by the symbolic cleansing power of the water. Then, as he rises from the water, he stands as a representative of the new or resurrected man in Jesus Christ. All of that symbolism underlying baptism is consistent with baptism by immersion, but it is lost—totally lost—with sprinkling and pouring. Notice how Callister says that baptism is “symbolic” for the death, resurrection, and burial of Jesus. And he’s right, just as baptism is symbolic for the salvation provided to the believer that comes through faith. And fourth, the Greek word from which baptism is translated means to dip or plunge in the water. Will Durrant, a noted world historian, knew what the blueprint revealed and thus observed, “By the ninth century the early Christian method of baptism by total immersion had been gradually replaced by … sprinkling—as less dangerous to health in northern climes.” It should be no surprise that Joseph Smith received a revelation on the manner in which baptism is to be performed that is perfectly consistent with Christ’s blueprint (see D&C 20:73–74). First, men and women who have not been baptized will be damned and go to hell. Such an answer, however, is inconsistent with the scriptural truths that “God is no respecter of persons” (Acts 10:34) and that God desires “all men to be saved” (1 Timothy 2:4). In context, this event is the Gentile “Pentecost.” Before salvation was aimed at the Jews, but it is time now, Peter says, to realize that the Gentiles also have access to this freedom in Christ. It is no longer just limited to the Jewish believers. (It took Peter some time to realize what was meant by these words.) It is not saying that all people have access to heaven without belief (notice, “accepted by Him” in verse 35). And “Lord of all” is referring to both the Jew and the Gentile. As stated many times throughout this review, context certainly matters. This earth will become a celestial kingdom when it is sanctified. Those who enter the terrestrial kingdom will have to go to some other sphere which will be prepared for them. Those who enter the telestial kingdom, likewise will have to go to some earth which is prepared for them, and there will be another place which is hell where the devil and those who are punished to go with him will dwell. Of course, those who enter the telestial kingdom, and those who enter the terrestrial kingdom will have the eternal punishment which will come to them in knowing that they might, if they had kept the commandments of the Lord, have returned to his presence as his sons and his daughters. This will be a torment to them, and in that sense it will be hell (Answers to Gospel Questions 2:210). Hence, according to Smith, most Latter-day Saints are destined for judgment and eternity separated from God who resides in the celestial kingdom. Mormons like Callister may not like the idea of hell, but I think having regret for eternity that I could have had so much more sure sounds like hell. If God desires all to be saved, meaning they will get some kingdom level, then how does a Mormon reconcile this idea? Second, perhaps God did not really mean what He said—perhaps baptism is not really essential for salvation. But this is unrealistic because God always means what He says: “What I the Lord have spoken, I have spoken, and I excuse not myself” (D&C 1:38; see also Mosiah 2:24). Baptism is a “work of righteousness. The Bible says salvation is not earned “by works of righteousness” that we have accomplished but only through Christ’s mercy. Third, some believe that a new condition called “baptism by desire” may be substituted for baptism by water. In other words, if someone desires to follow Jesus but did not have the opportunity to be baptized in mortality, then his worthy desire becomes an acceptable substitute in lieu of water baptism. The problem with this option is that it has no scriptural support. The scripture does not say, “Except a man be born of desire,” but rather, “Except a man be born of water and of the Spirit, he cannot enter into the kingdom of God” (John 3:5; italics added). Where is such a concept taught in the Bible? Strained reading of the verses cited from 1 Peter and 1 Corinthians will be the only way a Latter-day Saint can make a biblical case for this practice of working for the dead. The fourth option is that God really meant what He said when He commanded all men to be baptized, and because of this He mercifully provided a way for all men to be baptized even if no opportunity arose in mortal life. That is baptism for the dead. That is the option consistent with the blueprint. Another biblical passage that should be considered is Acts 16:30–31, where the Philippian jailor asked Paul and Silas what he had to do in order to be saved. They told the jailor simply, “Believe on the Lord Jesus Christ, and thou shalt be saved, and thy house” (v. 31). Paul and Silas eventually explained the “word of the Lord” to the jailor and “all that were in his house.” As a result of their saving faith, they were baptized (vv. 32–33). Consider Acts 10:44–48 as well. Here, Peter delivered the gospel of truth to the Gentiles, and before anyone from his audience was baptized in water, the “Holy Spirit fell on all who heard the word” (v. 44 esv). Believing Jews who witnessed this event “were amazed, because the gift of the Holy Spirit was poured out even on the Gentiles” (v. 45 esv). As a result, Peter asked the crowd, “Can anyone withhold water for baptizing these people, who have received the Holy Spirit just as we have?” (v. 47 esv). Peter obviously recognized the Spirit’s coming upon them as God’s confirmation that the Gentiles were a part of the church, just as the Jewish believers were part of the church. It would be strange indeed for the Holy Spirit to fall on these Gentiles if they were not already believers. But as previously stated, it is not baptism but faith alone that justifies a person before God. Mormons might argue that if this is the case, they too are qualified for salvation since they also “have faith.” There is a difference, however. The Christian’s faith is based on the fact that Jesus’ sacrifice paid the entire debt of sin. Nothing more can be added to a debt that has been paid in full. Mormon leaders have argued that Christ’s sacrifice was not all-sufficient. As James Faust, a member of the First Presidency, stated, “All of us have sinned and need to repent to fully pay our part of the debt. When we sincerely repent, the Savior’s magnificent Atonement pays the rest of that debt.”(“The Atonement: Our Greatest Hope,” Ensign, November 2001, p. 18) To think that Jesus’ sacrifice doesn’t pay for all debt is blasphemous to the ears of biblical Christians. What does the blueprint say about the manner in which the gift—not the temporary presence, but the permanent gift—of the Holy Ghost is given after someone is baptized? Does it automatically descend upon someone following his baptism? Does it come like the rushing of the wind, or is there some divine ordinance, some divine procedure that must be followed to receive this gift? The blueprint gives the answer. After Philip baptized some new converts in Samaria, Peter and John arrived. The scriptures then reveal the manner in which that ordinance is to be performed: “Then [Peter and John] laid they their hands on them, and they received the Holy Ghost” (Acts 8:17; italics added). This same procedure was followed after Paul baptized new converts in Ephesus: “When they heard this, they were baptized in the name of the Lord Jesus. “And when Paul had laid his hands upon them, the Holy Ghost came on them” (Acts 19:5–6; italics added). Once again the blueprint and Christ’s restored Church are in perfect harmony. While there is nothing wrong with “laying on of hands,” this certainly did not occur every time when the Holy Ghost was commissioned. Look at Acts 2, for instance, the very same passage used by Callister earlier to support the requirement for baptism. Where does it even suggest that the apostles laid their hands on the new converts? Or in Acts 10 when the Gentiles became believers? There is nothing wrong with the laying of hands, but if this is performed by someone who is teaching false doctrine, then there is no power in association with this act. The next page of the blueprint might read: “Fruits of Christ’s Church.” The Savior gave this test for truth: “By their fruits ye shall know them” (Matthew 7:20). What were the fruits of Christ’s Church as evidenced in the blueprint? This passage is talking about false prophets and how to distinguish them from good teaching. One, those early Saints strove to be a healthy people. Paul taught that our physical bodies are “temples” that house our spirits and, therefore, are to be treated as holy: “Know ye not that ye are the temple of God, and that the Spirit of God dwelleth in you?” (1 Corinthians 3:16; see also 1 Corinthians 6:19). Because of this, the members of Christ’s Church had certain health laws they obeyed, such as certain restrictions on drinking wine, found in Ephesians 5 and 1 Timothy 3. In accordance with this divine law of treating our bodies like temples, Joseph Smith received a health law from the Lord for the members of Christ’s restored Church, known as the Word of Wisdom. As a result of living this health law, repeated studies have confirmed that members of The Church of Jesus Christ of Latter-day Saints are among the healthiest people in the world. This is one of the fruits of living Christ’s health law. 10 According to the grace of God given to me, like a skilled master builder I laid a foundation, and someone else is building upon it. Let each one take care how he builds upon it. 11 For no one can lay a foundation other than that which is laid, which is Jesus Christ. 12 Now if anyone builds on the foundation with gold, silver, precious stones, wood, hay, straw— 13 each one’s work will become manifest, for the Day will disclose it, because it will be revealed by fire, and the fire will test what sort of work each one has done. 14 If the work that anyone has built on the foundation survives, he will receive a reward. 15 If anyone’s work is burned up, he will suffer loss, though he himself will be saved, but only as through fire. 16 Do you not know that you are God’s temple and that God’s Spirit dwells in you? 17 If anyone destroys God’s temple, God will destroy him. For God’s temple is holy, and you are that temple. To pull verse 16 out to make it appear it is talking about an individual believer contorts the text. Yes, 1 Cor. 6:19 is referring to the individual, but not 1 Cor. 3! 13 Others mocking said, These men are full of new wine. 14 But Peter, standing up with the eleven, lifted up his voice, and said unto them, Ye men of Judaea, and all ye that dwell at Jerusalem, be this known unto you, and hearken to my words: 15 For these are not drunken, as ye suppose, seeing it is but the third hour of the day. Meanwhile, Ephesians 5:18–remember, Ephesians 5 was cited above by Callister–commands the Christians not to get drunk on wine. It doesn’t teach that wine was forbidden. Therefore, if wine had enough alcohol content to make people drunk, and if Jesus turned water into wine, then it must be good. First Timothy 4:4 says, “For everything created by God is good, and nothing is to be rejected if it is received with thanksgiving.” The Bible does not say to abstain from wine but to abstain from getting drunk on wine. The same principle can be made with money. Is money the root of all evil? No, it’s the love of money that is the root of all evil (1 Timothy 6:10). There is a huge difference! For, behold, I say unto you, that it mattereth not what ye shall eat or what ye shall drink when ye partake of the sacrament, if it so be that ye do it with an eye single to my glory—remembering unto the Father my body which was laid down for you, and my blood which was shed for the remission of your sins. Wherefore, a commandment I give unto you, that you shall not purchase wine neither strong drink of your enemies; Wherefore, you shall partake of none except it is made new among you; yea, in this my Father’s kingdom which shall be built up on the earth. That inasmuch as any man drinketh wine or strong drink among you, behold it is not good, neither meet in the sight of your Father, only in assembling yourselves together to offer up your sacraments before him. And, behold, this should be wine, yea, pure wine of the grape of the vine, of your own make. 1 And it came to pass that Jesus commanded his disciples that they should bring forth some bread and wine unto him. 2 And while they were gone for bread and wine, he commanded the multitude that they should sit themselves down upon the earth. 3 And when the disciples had come with bread and wine, he took of the bread and brake and blessed it; and he gave unto the disciples and commanded that they should eat. 4 And when they had eaten and were filled, he commanded that they should give unto the multitude. 5 And when the multitude had eaten and were filled, he said unto the disciples: Behold there shall one be ordained among you, and to him will I give power that he shall break bread and bless it and give it unto the people of my church, unto all those who shall believe and be baptized in my name. 6 And this shall ye always observe to do, even as I have done, even as I have broken bread and blessed it and given it unto you. 7 And this shall ye do in remembrance of my body, which I have shown unto you. And it shall be a testimony unto the Father that ye do always remember me. And if ye do always remember me ye shall have my Spirit to be with you. 8 And it came to pass that when he said these words, he commanded his disciples that they should take of the wine of the cup and drink of it, and that they should also give unto the multitude that they might drink of it. 9 And it came to pass that they did so, and did drink of it and were filled; and they gave unto the multitude, and they did drink, and they were filled. 10 And when the disciples had done this, Jesus said unto them: Blessed are ye for this thing which ye have done, for this is fulfilling my commandments, and this doth witness unto the Father that ye are willing to do that which I have commanded you. Evidence is abundant that the Savior regarded the baptized state as an essential condition of membership in His Church; thus, when instituting the sacrament of bread and wine among the Nephites He instructed His disciples to administer it unto those only who had been properly baptized” (Articles of Faith, 1984, p. 120). Before the Mormons settled in the vicinity, no shop for the sale of spirituous liquors had been established in Montrose (Il.). After their arrival two of their preachers commenced a grog-slip in that place, which was principally supported by the “Latter-day Saints.” In September 1841, the prophet being in Montrose, became intoxicated at this shop. While in this condition he told the by-standers “that he could drink them all drunk,” and requested the shop-keeper to treat all his friends at his expense. And fill them high with generous juice. As generous as your mind. And pledge me in the generous toast–The whole of human kind. On another occasion, having been discharged from arrest, through informality in the writ requiring his apprehension for high treason against the State of Missouri, Smith gave a party at Monmouth and, after a regular frolic with his lawyers and friends, became thoroughly intoxicated. On being asked how it was that he, a prophet of the Lord, could get drunk, he replied that is was necessary that he should do so, in order to prevent his followers from worshiping him as a God. . . .While intoxicated at Montrose, at another time, he was heard by several persons saying to himself, “I am a P.R.O.F.I.T.”–spelling (or rather misspelling) the word deliberately, and repeated the letters in solemn succession. The book contains many other stories. It is available for $5 and will undoubtedly shock many Latter-day Saints. Though it seems clear that some church leaders like Heber J. Grant and Joseph F. Smith insisted upon complete abstinence from tea, coffee, liquor, and tobacco, all general authorities did not agree. During a discussion in 1900 after he became president of the church, Lorenzo Snow again emphasized the centrality of not eating meat, and in 1901 John Henry Smith and Brigham Young, Jr., of the Twelve thought that the church ought not interdict beer, or at least not Danish beer. Other apostle like Anthon H. Lund and Matthias F. Cowley enjoyed Danish beer and currant wine. Charles W. Penrose occasionally served wine. Emmeline B. Wells, then a member of the presidency and later president of the Relief Society, drank an occasional cup of coffee, and George Albert Smith took brandy for medical reasons. Elder George Teasdale agreed with President Woodruff and thought that no one ought to be kept from working in the Sunday School because he drank tea and that eating pork was a more serious problem than drinking tea and coffee (p. 260). Why did the time come when there were no more miracles and gifts of the Spirit? Because the tree that bore the fruit, namely Christ’s Church, was no longer on the earth and the faith of the people diminished. John Wesley noted this absence of the gifts of the Spirit from the church in his day: “It does not appear that these extraordinary gifts of the Holy Ghost were common in the Church for more than two or three centuries.” Suffice it to say, I can testify, like many of you, that this is a day of miracles and gifts of the Spirit in Christ’s restored Church, just as it was in His original Church. Callister said that the miracles and gifts of the Spirit “are recorded on page after page in the New Testament.” If that’s the case, then we should expect “page after page” of such works in the Mormon Church. Where are these recorded? Callister criticizes the churches in “the advent of the Apostasy,” yet I have never seen a miracle performed in a Mormon church. Or how about a healing session in a General Conference session? If Callister wants to infer that these miracles in his church are spiritual and not physical, how would that be any different than many other churches? Besides, there are a number of Pentecostal and Charismatic churches today also claiming to perform miracles. With no evidence that divine healings and miracles are taking place, it seems that the LDS Church is void the evidence of this blueprint. It will be those who claimed they did these mighty works who will be sent to hell. Those who merely claim to do divine works like these may be very well surprised at the final judgment. Is Moroni—supposedly a man (the last living “Nephite”) who later became an angel—the evidence for this assertion? Nobody except Joseph Smith (supposedly) saw Moroni; there were no “witnesses.” We must take Joseph Smith’s word that there even was a “Moroni.” If “many accounts of angels and visions” is somehow a mark of Christ’s Church, then when is the last time the church’s leaders claimed seeing angels or having visions? Why should a person accept this “blueprint” as a credible proof for the Mormon Church when there’s no evidence that angels and visions really mark this organization? It was a missionary church—the Apostles being commanded to “go ye therefore, and teach all nations” (Matthew 28:19). Today we have over 80,000 missionaries fulfilling that command and bearing the fruit of doing so. For centuries the Roman Catholic church has been a missionary church. So have many Protestant churches. Just because churches attempt to spread their faith in no way makes their doctrines true. Instead, the message that the church is bringing forth needs to be considered. It was a moral church—the blueprint teaches us that the early Saints in Christ’s Church were commanded to dress modestly and to refrain from premarital relations. How many churches not only teach those moral standards but also live them? Christian churches believe in “keeping the marriage bed pure” (Hebrews 13:4). When Callister says “many churches not only teach those moral standards but also live them,” he ought to tread lightly because a number of Latter-day Saints have fallen to sexual temptation, just as many Christians have. Callister should not throw such words around with reckless abandon, as if only those attending Mormon churches remain sexually pure. People fall, regardless of how they were raised or faithfulness in attending church. I think these two sentences given by Callister were careless. Christ’s original Church was a family-centered church. Husbands were commanded to love and be true to their wives (see Ephesians 5:23–25), children were commanded to obey their parents (see Ephesians 6:1), and bishops were commanded to rule well their own houses (see 1 Timothy 3:4–5). Today our Church, like Christ’s original Church, is recognized as a family-centered church. The fruits of Christ’s Church are carefully recorded in the Bible and match with Christ’s restored Church today. The Mormon Church does not hold a monopoly on “family-centered churches.” After all, many Christian pastors preach about husbands loving their wives and children obeying their parents. Christ established His Church on earth, but the final page of the blueprint reveals it had a link to heaven—namely, “Divine Revelation.” Without this link the Church would be no more than a man-driven organization governed by the powers of reason. The prophet Amos declared, “Surely the Lord God will do nothing, but he revealeth his secret unto his servants the prophets” (Amos 3:7). In 2 Corinthians 12:1, Paul was referring to himself (visions/revelations) and was not suggesting this was something that was ongoing for the leaders of the church. Acts 1:2 is referring to the resurrected Christ and has noting to do with the church today. To say that “Christ’s Church today is linked to heaven by ongoing revelation” is quite a leap. Christians believe that what the Bible revealed is what ought to be believed today. In Mormonism, there are many differences between LDS revelation and biblical truth; for those who are followers of God, the choice of which to believe is not difficult. If one were to match the blueprint of Christ’s original Church against every church in the world today, he would find that point for point, organization for organization, teaching for teaching, ordinance for ordinance, fruit for fruit, and revelation for revelation, it will only match one—The Church of Jesus Christ of Latter-day Saints. If one rejects this Church after studying the blueprint, then it will likely ruin him for any other church because he knows too much. He will be like Peter, who was asked by the Savior, “Will ye also go away?” (John 6:67). Peter responded with an answer that should be engraved in every heart and enshrined in every home: “To whom shall we go? thou hast the words of eternal life” (John 6:68). I have to laugh at the line where Callister says that a person who understands the LDS Church and decides to leave “it will likely ruin him for any other church because he knows too much.” Really? I have met many former Mormons who have decided to leave the “one true church” and then found refuge in Christian churches where they have discovered freedom from human regulations. When they found out “too much” about the truth, they left and never look back. As far as the citations to John 6 and “to whom shall we go?” many former Mormons have gone to “Jesus,” a Person whom they did not find in this church named after the Savior. They found refuge from impossible teaching, vowing to never return to an organization that teaches false doctrine. If someone turns from the Church, where will he go to learn about the restored truths concerning the nature of God as revealed in the Sacred Grove, the preaching of the gospel to the dead, the three degrees of glory, and eternal families? Where will he go to get the ordinances that can save and exalt him? Where will he go to have his wife and children sealed to him for eternity? Where will he go when he wants a priesthood blessing of comfort or healing for a family member? Where will he go to find a prophet of God? He will look in vain for those doctrines and those ordinances and those powers and those prophets, as they are unique to The Church of Jesus Christ of Latter-day Saints. No other Christian churches teach the things referenced by Callister because these are unique teachings to Mormonism and have no relation to the Bible. The early Christians never held to any of these things because they are not true. It’s as plain and simple as that. One cannot have the doctrines and ordinances as restored through the Prophet Joseph Smith without accepting Joseph Smith and the underlying history that is the basis for such. They are inseparable. They go hand in hand. You cannot call the fruit good and then call the tree bad. The Savior taught that truth long ago: “A good tree cannot bring forth evil fruit, neither can a corrupt tree bring forth good fruit” (Matthew 7:18). Accordingly, if the doctrinal fruit we have discussed tonight is good, then the tree from which it sprang—Joseph Smith and the accompanying underlying history of those revealed truths—is likewise good. You cannot have one without the other. On the other hand, if what Joseph Smith taught was false doctrine, it is not good and ought to be thrown out as rubbish. To read more about Joseph Smith, click here. Mormons are required to stake their eternal future to a man who not only taught false doctrine but who also lied to his wife regarding marriages other several dozen other women as well as saying he could translate ancient writings even though the evidence goes against this assertion. (Check out more information on the Book of Abraham here. “Match it”? Joseph Smith was a fraud and yet he continues to be upheld as a prophet by some 15 million people. Latter-day Saints need to realize that nobody should stake their eternal destiny on Joseph Smith, a man who taught contrary to the Word of God. An attorney knows that after a prosecutor presents his key witness, the case against the defendant has been cast in its worst possible light. Someone quick to render judgment at that point might determine the defendant guilty, but then an interesting phenomenon in the courtroom happens. The defense commences cross-examination of this same witness, and the following frequently occurs: The definitive answers of the witness start to wilt under the pressure of cross-examination. The witness who appeared so unimpeachable now has some inconsistencies, perhaps even glaring holes in his recollection of events. The seemingly rock-solid story of the witness begins to crack and crumble with each new question put to him. The witness was able to handle the softball questions of his prosecutor, but when the hardball questions of the opposition came, he could not withstand their intensity or probing nature. When the cross-examination is completed, the witness has been largely discredited. The observer who was previously ready to “hang” the defendant now sees with a different set of eyes the man’s complete innocence. I encourage you to “cross-examine” any of our points and see if the witness is discredited. First, how did Joseph Smith know to restore the doctrines and ordinances from the Bible, such as the doctrine of the premortal existence, the true nature of God, the gospel being preached to the dead, baptism for the dead, and many others discussed tonight, when such doctrines and ordinances were not being taught by other contemporary churches of his time? Is Callister serious? He claims that Smith was able to “restore doctrines and ordinances.” To restore means to return from the original. The Latter-day Saint must show how ancient Jews and Christians believed in premortal existence. They must prove that Jews and Christians during the time of the Bible believed that God was a man and performed work for the dead in the Jerusalem temple. These teachings were not taught by contemporary churches of Smith’s or our time today because they are not biblical. Why was Joseph Smith the only one to discover them and restore them? Even if he is considered a theological genius, were there no other such geniuses in the 1,800 years following the Savior’s ministry who could do likewise? “Theological genius”? How about “theological fraud”? If you’re a Latter-day Saint and think I’m being too hard on your church’s founder, it’s because the evidence shows that the theology emanating from this man is corrupt and deceptive. If I’m wrong, please show me. Second, if this Church is not Christ’s Church, then why does this Church have the same fruits as Christ’s original Church, namely, miracles and gifts of the Spirit, current revelation from apostles and prophets, angels and visions, a healthy people, a moral people, a missionary-minded people, and a people who are intensely family centered? Did not the Savior give the test for truth?—“By their fruits ye shall know them” (Matthew 7:20). A follower of Warren Jeffs, the founder of the FLDS Church, could claim the same thing as the Mormon. And a host of other Christian churches could also make this claim. Callister says that his church has “the same fruits as Christ’s original Church,” but that is a subjective claim. Certainly, many more questions on cross-examination could be asked. There are certain questions, however, that trump and transcend all others—in essence, they form the crux of an issue. Suffice it to say, some questions are simply more important than others in discovering the truth. If you come to know that Joseph Smith restored the biblical teachings and ordinances discussed tonight, if you come to know that The Church of Jesus Christ of Latter-day Saints has the same fruits as Christ’s original Church, or if you come to know that the Book of Mormon is of divine origin, then you know that Joseph Smith is a prophet. And if Joseph Smith is a prophet, then this is the only true and living Church upon the face of the whole earth. At that point, all other questions pale in comparison. It is like the Supreme Court ruling on an issue. All decisions of lower courts to the contrary become immaterial. Likewise, all questions of the critics, however probing or puzzling or entertaining they may be, become immaterial in the equation of truth. Why? Because you have already answered the key questions—the critical questions, the transcending questions—that are the foundational pillars for knowing the truth. Callister puts this is such terms as if his leadership ought to be likened to the “Supreme Court.” The Supreme Court for a Christian is the Bible when it is properly interpreted. Christians don’t care what others may say about the truth if it is contrary to the Bible. Suffice it to say, I can live with some human imperfections, even among prophets of God—that is to be expected in mortal beings. This is a pretty big admission, though nebulous. What does he mean, “human imperfections”? Teaching false doctrine? Or predicting a football winner that is different from the actual winner? According to Deuteronomy 13 and 18, a true prophet will get his prophecies and teaching correct. One time wrong and such a person ought to be rejected. I can live with some alleged scientific findings contrary to the Book of Mormon; time will correct those. Another admission. He says, “Time will correct” the scientific findings contrary to the Book of Mormon. How does he know? By saying this, does he admit that the evidence goes against his church’s most sacred scripture. And I can live with some seeming historical anomalies; they are minor in the total landscape of truth. But I cannot live without the doctrinal truths and ordinances restored by Joseph Smith, I cannot live without the priesthood of God to bless my family, and I cannot live without knowing my wife and children are sealed to me for eternity. That is the choice we face—a few unanswered questions on one hand versus a host of doctrinal certainties and the power of God on the other. And for me, and I hope for you, the choice is an easy one and a rational one. An admission that he is unable to allow the Bible to speak for itself. He is required to pledge full allegiance to Joseph Smith. Until he can unwrap himself from this entanglement, he will never be able to see God’s perfect and pleasing will. I bear witness that the Church over which you will one day preside bears Christ’s name because it does have His approved organization, His teachings, His ordinances, His powers, His fruits, and His constant revelation, all of which are referred to in His divine blueprint. May we have the spiritual eyes to see the corollary between that blueprint and Christ’s restored Church today, for it is one of God’s compelling witnesses to us. Of this I so witness and pray in the name of Jesus Christ, amen. Sixteen out of the 17 points were used in Callister’s talk. I believe this contrived list cannot be considered the “blueprint” of Christ’s real church and will only convince those who are looking for reasons to remain LDS. Read a review of 17 Points of the True Church here.